Building friendships takes time, and can often be a struggle for those who are introverted or shy. The next step is to forge closer friendships. If you feel intimidated by the thought of this, don’t worry. Sometimes, the last person you want to be is yourself – you feel shy and awkward and completely uninteresting. Try and remind yourself that this is not the case! When it comes to making friendships and getting closer to current friends, do your best to stay true to yourself. 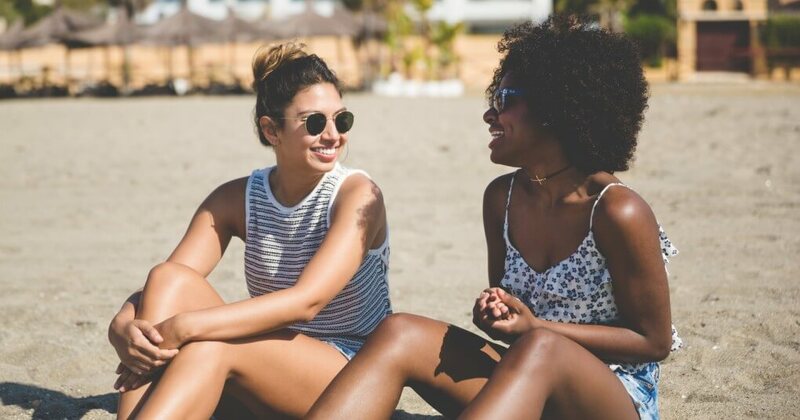 There’s no point trying to bond over a TV show you’ve never even heard of – this will probably get you into some awkward situations, and your friends will be left wondering why you lied about it. Be honest and you’ll be respected and appreciated for it. It’s okay to be open about your feelings. Your friend may be shy, too, so will totally understand how you’re feeling and will be grateful that you brought it up. If they don’t feel the same, they’re likely to be pretty confident, so won’t mind that you’re a little bit quieter and withdrawn. Either way, honesty counts for a lot and nobody is going to hold it against you if you admit to being nervous. If anything, they’ll be flattered that you’re going out of your way (and comfort zone) to become better friends with them. Spending time together in group settings is a good way to make friends and can take the pressure off. If and when you want to deepen your friendship with someone in particular, suggest that you hang out just the two of you. Make it light-hearted but not vague – mention a film you’ve wanted to see and invite them along. This will make you seem interested without making them feel obligated. Asking someone to join you in your existing plans makes the situation feel less forced, and you’ll both feel more comfortable when you meet. Neutral, public spaces are good settings if you’re a bit nervous. You’ll have lots to distract you, and people-watching is a good way to take the focus off you if you’re feeling shy. Start off this way and you’ll soon find that both of you want to make plans to meet up next time. If you feel comfortable doing so, open up more. A good way to bond with a friend is to share stories or experiences. Don’t go for something super intense at first, as they may feel a bit shocked by such private information! Start with small things and ask for advice. This will help your friend realize that you trust them and want them to be involved in your life. This will also help them feel more comfortable sharing things with you. Just make sure you return the favor – listen, pay attention and offer advice. Before you know it, you’ll be having regular DMCs (deep, meaningful conversations!) and bonding over shared experiences. 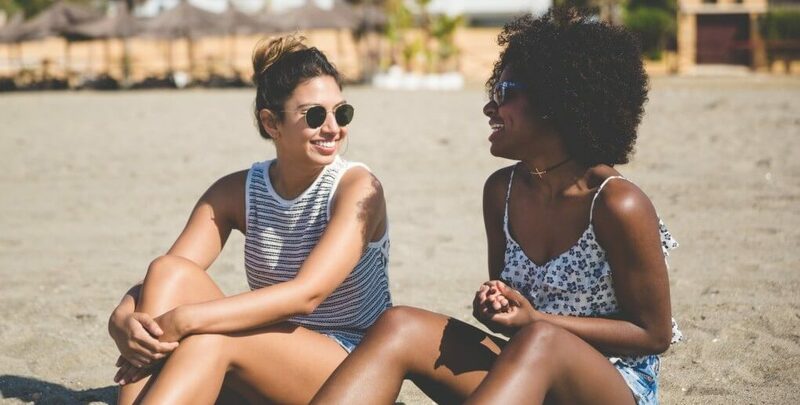 Most friendships are based on common ground, but really dig deep to find something that connects you to your friend. Use this as a way to strengthen your bond. You both might be interested in the same band that the rest of your friendship group isn’t bothered about. Use this as an opportunity to spend more time with this friend, either by talking about it or organizing activities related to this interest. Conversations about favorite books, music, and movies are pretty easy to bring up, so don’t stress about how you’re going to find out what they like! Try to stay casual and, if you’re interested in something they love, make a mental note of it. Remembering that obscure novel they love will come in handy when you want to buy a thoughtful birthday present. As mentioned, make mental (or physical) notes about things your friend is interested in. Don’t recite everything you know about your friend to them, as that can come off a little creepy! Instead, find small ways to show that you’ve been listening. If you see a poster for a gig you know they’d love, send them a photo of it. If you see their favorite meal on a menu, point it out to them or suggest eating at the restaurant together. Having someone who remembers things about you feels so lovely, and they’ll start doing it about you soon enough. Show your friend that you care by remembering small details. How Many Friends Do You Need In Your Life? Equally, friendships often become stronger when you introduce your friend to something new. Sharing a skill or talent is a really cool way to let someone into your life a little bit more. By letting them see more than just your surface-level personality, they’ll feel more comfortable and interested. This is also a really nice way to give them the opportunity to show you something unusual or hidden about themselves. You can also try new things together – head to a Zumba or yoga class. Being in a group of strangers and only knowing each other will make it easier to rely on each other. Don’t get clingy, but let them know you’re happy you’re not there alone. Discovering new things with a friend can be really fun, and may turn into something that the two of you regularly do together. This might not be a feasible option for everyone, but it’s a great way to bond if possible. You don’t need to book a round-the-world trip, but traveling somewhere new can help you become much closer. Plan a camping trip, or even a road-trip to a city that neither of you have been to. Sharing this new experience and working together to overcome any issues will help you feel a lot closer. Bear in mind that travel does make some people feel quite anxious, so make sure you’re patient just in case there is unexpected stress. Either way, you’ll learn a lot about each other – car journeys give you the perfect opportunity to natter away, or just stick some music on and enjoy each other’s company. Birthdays can be a great opportunity to show how much you care about your friends. Make a special effort and go out of your way to make their day lovely. Plan a surprise brunch or take the time to find their favorite DVD in a store or online. You don’t need to spend loads of money; you just need to show that you care. By making an extra effort, your friend will feel special and loved. This will help your friendship grow and strengthen. Make a note of any difficult days too. Being there to celebrate with your friend is important, but it will also mean a lot to them if you remember anniversaries of sad events in their life. Start off by inviting them to meet your family, partner or other friends/colleagues. By including them in your closer circles, they will feel like an important person in your life. Inviting them into your ‘private life’ shows that they mean a lot to you. In time, they’re sure to return the favor. Do your best to make a good impression when you meet their loved ones. Don’t worry about being shy; that’s totally natural and just shows that it means a lot to you. If you were nonchalant about it all, it might come across that you’re not that interested in becoming better friends. Be polite, give a couple of compliments without going overboard, and make sure you thank them for inviting you to meet their loved ones. Part of being a good friend is simply being a good friend. Do your best to stay active in your friend’s life – don’t just wait until the next group hangout. Check in on your friend if you’ve not heard from them recently, take the time to send them a message and listen when they need to talk. Lots of friendship groups are full of people who care about each other, but wouldn’t necessarily answer the phone to one of them at 4am. You don’t need to stay glued to your phone 24/7, but try and be available to help whenever you can. Reverse the situation – you would really appreciate someone who comes over to see you when you’re having a bad day. Do the same for your friends and you’ll be amazed at how much closer to them you feel. Pay attention, listen, and offer advice.